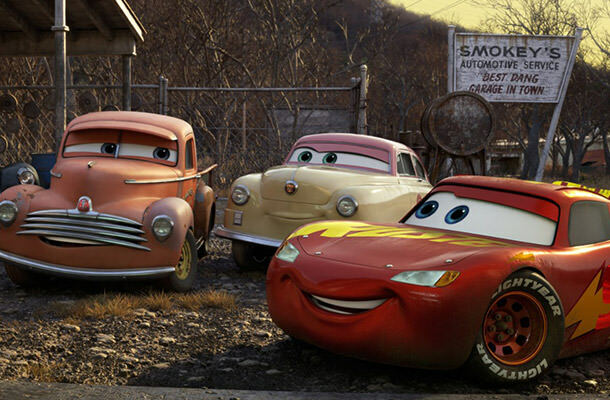 Although “The Cars” franchise could be described as “something of a black sheep of the Pixar universe” (at least from the critical point of view), this franchise still makes HUGE money for this amazing animated studio. The most recent installment of the Cars lore, “Cars 3,” is off to a pretty decent start, somewhat unexpectedly, with $60.1 million at the US box off this weekend according to studio estimates. Pixar obviously selected a nice release slot with not so big competition. Even though Cars 3 still isn’t doing as good as its predecessors, the cartoon still managed to secure the top spot this week. “Wonder Woman” dropped to the second position with $40.7 million for a current US total of $274.6 million, while reaching the $570 million mark worldwide. This girl is on fire! The much talked about Tupac Shakur biopic called “All Eyez On Me” opened this week to a third place grossing $27 million, while “The Mummy” had to drop to number 4 adding $13.9 million. “47 Meters Down,” which was the third new arrival this weekend, came in fifth with $11.5 million. “6. Pirates Of The Caribbean: Dead Men Tell No Tales” ($8.4 million). “7. Rough Night” ($8 million). “8. Captain Underpants: The First Epic Movie” ($7.3 million). “ 9. Guardians Of The Galaxy Vol. 2” ($4.9 million). “10. It Comes At Night” ($2.6 million).